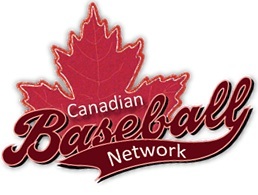 editor's note: This post first appeared in the Baseball in Alberta blog, before I amalgamated its contents here. The intro to it makes a little less sense now that all the posts are on one blog. Came across something I thought I should share with my readers, and I wasn't sure whether to post it here or on my Red Sox Nation Alberta blog. This blog has stories of interest to baseball fans in Alberta. Whether it's about a local team or academy or tournaments or camps or tryouts, or players who have moved on and are enjoying success elsewhere, or famous players who are in the province for whatever reason, the common theme is that it's about baseball and is of particular interest to Albertans. The RSN blog has stories that are of interest to Red Sox fans. It's slightly geared towards Albertans or Canadians, but is also of interest to fans from elsewhere, whether it's Boston or Bangladesh. Red Sox Nation knows no borders. This story isn't about anything to do with Alberta. Or the Red Sox. For that matter it really has very little to do with baseball. So why am I writing about it? Because it's about more than just a game. And in the grand scheme of things way more important. So I'm posting in both places to try and reach a wider audience. And if after reading it you suddenly find out that all that dust in your computer must have gotten in your eyes and they're watering, please click on the donation widget at that page and help if you can. And pass the link along to anyone else who might be touched by it. A Luncheon will be held for Jim and his family in early August and items will be auctioned off. If you can contribute something to the auction or know someone who might be willing to, I'd be forever in your debt. I didn't know Jim well but we share mutual friends and I hope to get to know him better over the coming months. None of us knows his fate but he's fighting as hard as he can and everything we can do for the Orr family will help. What to do when it rains? Play!